For aspiring Dartmouth entrepreneurs, the place to be on April 6 wasn’t Silicon Valley, but the Upper Valley. 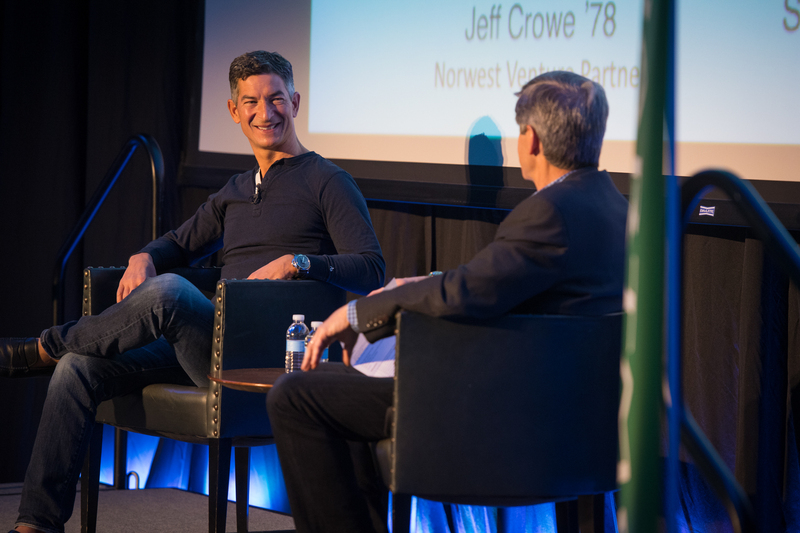 More than 370 members of the Dartmouth entrepreneurial community gathered for the 2018 Hanover Dartmouth Entrepreneurs Forum, a day of networking opportunities, panel discussions, and the exciting final round of the DEN National Startup Competition. 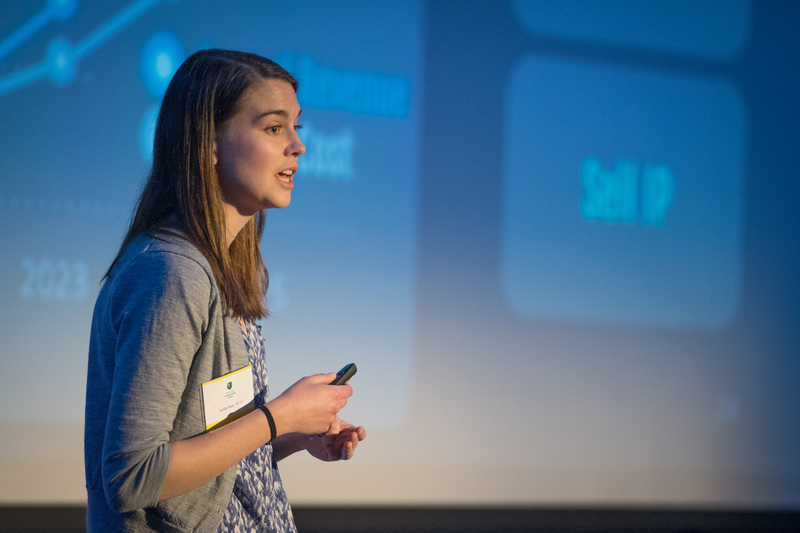 The day-long event, which has grown in attendance by nearly 70 percent since 2017, attracted accomplished business founders and venture capitalists to students launching their startup dreams. DEN, which hosts the annual Hanover event, provides support for students, faculty, alumni, and staff around ideas from incubation to formed and funded ventures. 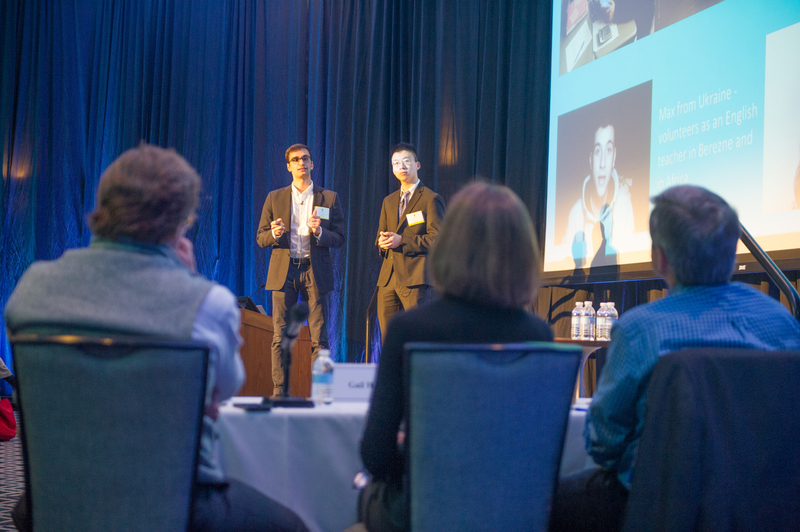 This event is part of the bi-annual Dartmouth Entrepreneurs Forum which takes place in Hanover each spring and San Francisco each fall, and gives aspiring Dartmouth entrepreneurs and supporters of the DEN community a chance to network and collaborate. All of the day’s panelists, though, were quick to admit that the road to startup success can be a long and bumpy one. Hafner described several times when Kayak could have crumbled, and it was clear that every experienced entrepreneur in the room could relate. The message, repeated throughout the day, was clear—to succeed in the startup world, founders need to be resilient. Another clear message? There’s no perfect time to start up. Different life phases present different assets and challenges, explained speakers on a panel about finding the right moment to make the entrepreneurial leap. One thing they could all agree on was the importance of being mentally prepared for the challenging journey ahead. After a day of panels on topics including startup fundraising, acquisition, go-to-market strategy, building successful teams, and social entrepreneurship, attendees reconvened for the long-awaited finals of the DEN Startup Competition, where early-stage Dartmouth-affiliated startups pitch their businesses and compete for a $25,000 prize. The field of entrants from across the nation had been whittled down in a semi-final round the day before, leaving three finalists to pitch three judges and a discerning audience on their startup venture. The tension in the room was palpable as the founders of Speechling, a language-learning app; Reia, a startup building a medical device to treat pelvic organ prolapse; and Holden, a custom jewelry company that utilizes 3D printing, gave polished and impassioned presentations. Jeff Crowe ’78, chair of the newly formed DEN Board of Advisors, congratulated all of the presenters on their well-honed pitches. 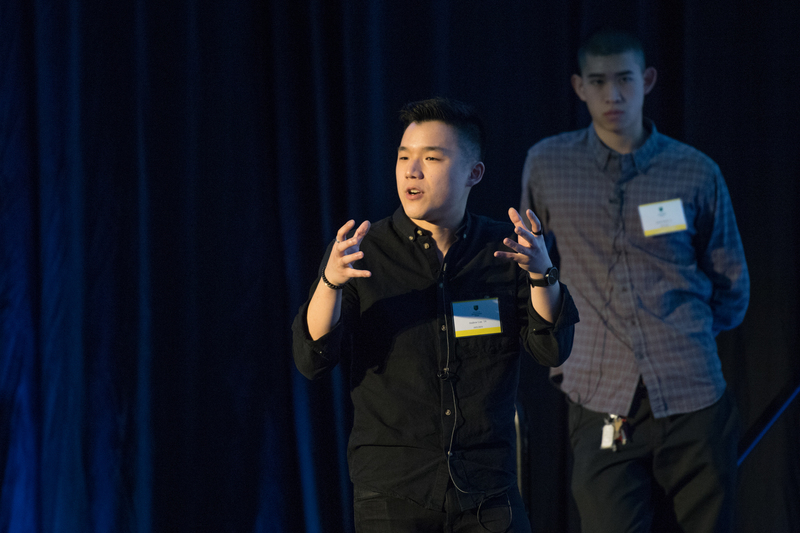 “You all excelled,” he said, before announcing the final winner — Holden and its founders Andrew Lim ’14 and Simon Zhang ’14. With an ambitious rollout planned for this spring, it’s clear that Holden is a startup to watch. All three companies—and all the DEN attendees—walked away from the Forum bubbling with new ideas, energy, and a renewed awareness of the strength and support of the Dartmouth network. Inspired to explore your own next steps? 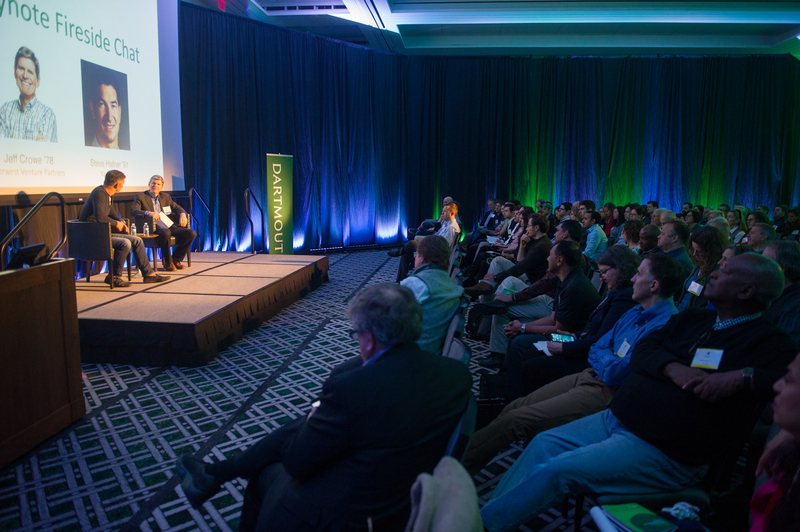 Join the next Dartmouth Entrepreneurs Forum on Friday, September 7 in San Francisco. 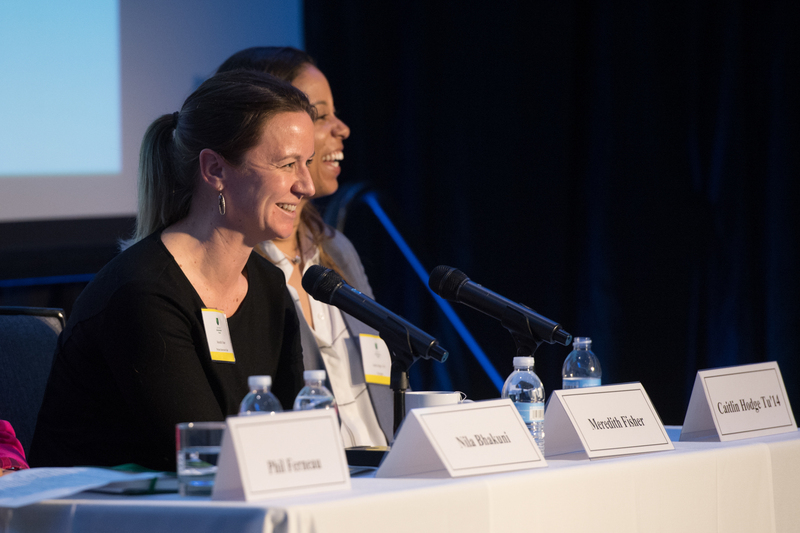 View more images from the Dartmouth Enrepreneurs Forum in Hanover.